Elaine thought you needed it for the hustle and bustle of the big city. Elaine thought the business man needed something like this in order to thrive in the urban environment. Elaine thought it would set you apart. Elaine featured it on the cover of the J. Peterman Catalog. Elaine got a little too much tequila during her research trip to Mexico. 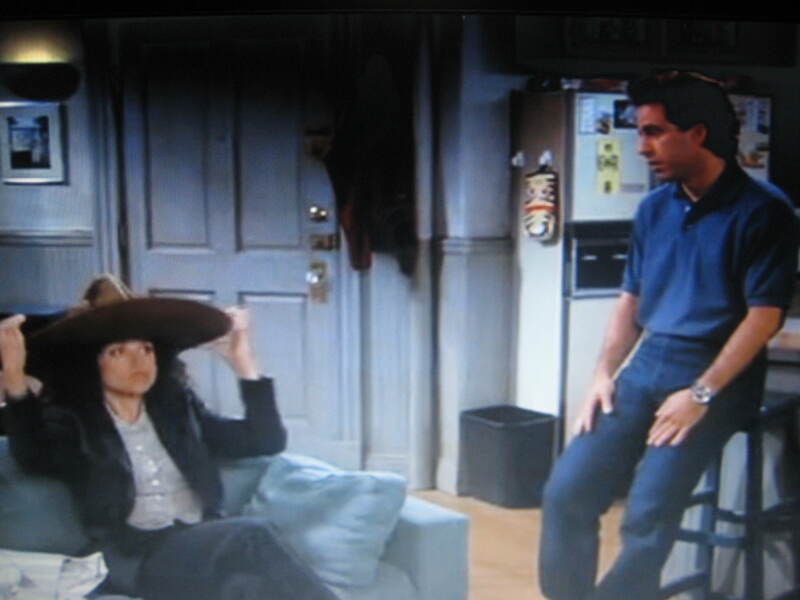 Elaine and The Urban Sombrero. I love this show. Makes me laugh like crazy! Humor is a great way to survive any urban jungle!